with few exceptions (e.g. the "delete" key of the keyboard, becomes "Canc"), this is what many other softwares use. Currently, in some cases "cancella" is used in MMEX for all three of these, e.g. in the "transaction fitler" dialog, where both "clear" and "cancel"
buttons are translated as "cancella" making them indistinguishable. Can I just update the .po file and post it back here? at this time, they are switched. 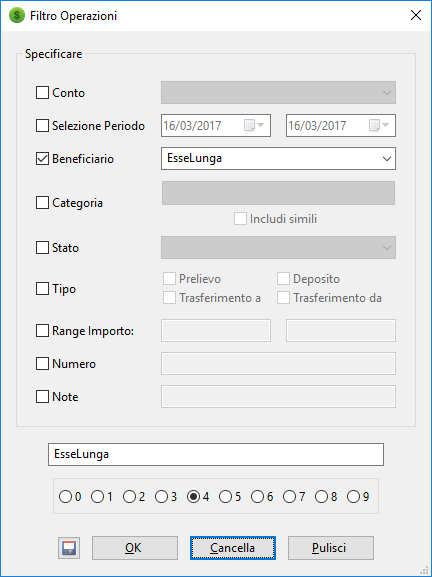 for those who appreciate here you find the updated language files for Italian localization for MMEX 1.3.1. All the texts were checked and reviewed. as in 2010 there is again the problem with the month of May (long / short description. Only long description available to translate at row 1365). Then, in the report view the displayed period is not translated. Text is translated only in the selection filters but not in the view. Please fix it.